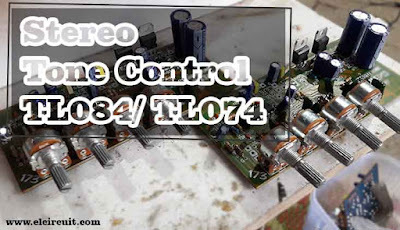 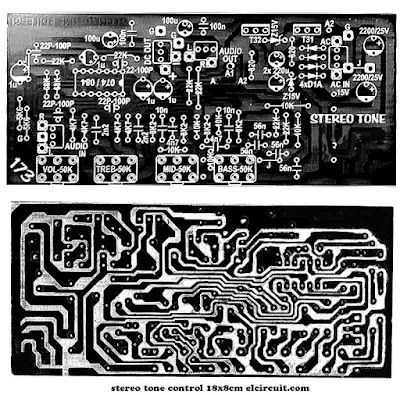 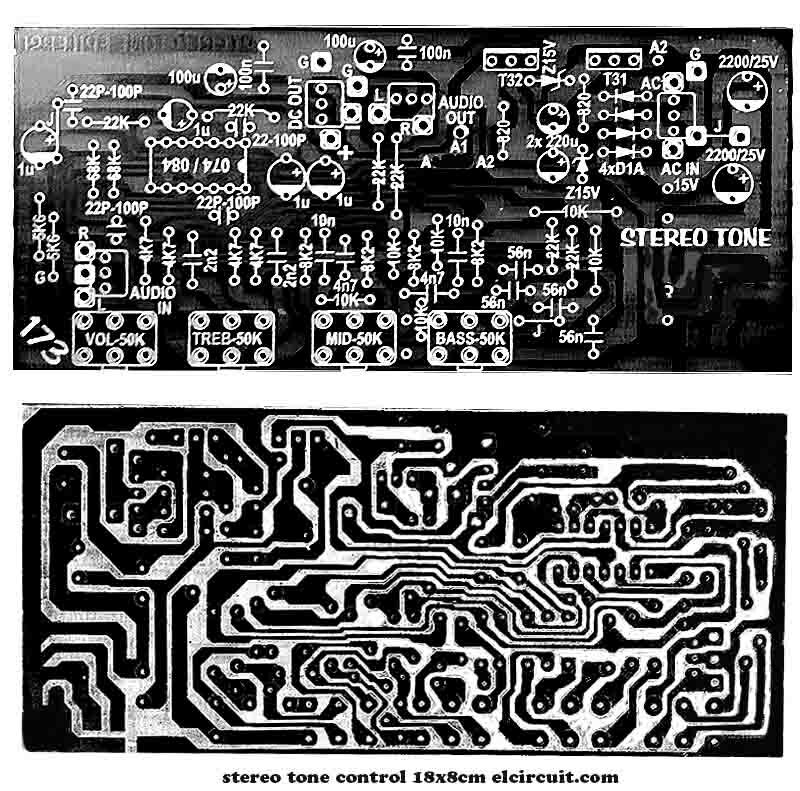 This is a Stereo tone control circuit using stereo ic op-amp TL084 or also can use TL074, for recommendation i recommend to use IC TL084, Where the ic has the following features. • Low Current Input Bias: 30 pA Typical combining JFET and bipolar transistors with high voltage that fits well in monolithic integrated circuits. 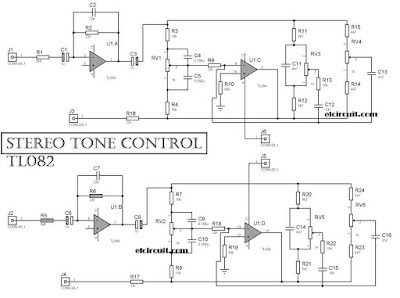 • Lowest Harmonic Distortion: 0.003% Typical temperature coefficient. 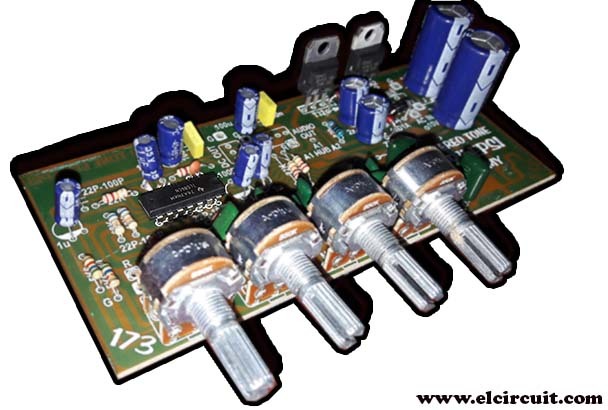 For DIY'ers I also share the PCB Layout include power supply circuit to make it easier. 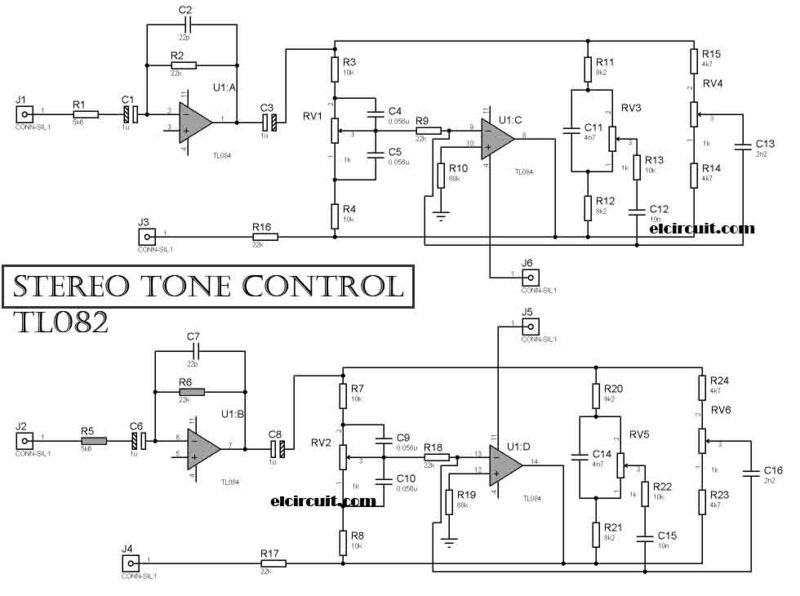 hello,i want to build an amplifier 2000w with tone control for bass and normal speakers,please help with pcb layout for amplifier,tone control and power supply?